Released as an offering between his first novel Milijun and upcoming Saving Paludis, Silently in the Night, is a mixed bag of unique stories. While top heavy with Science Fiction shorts, as is the author’s primary genre, including an excerpt from Milijun as well as a short preview of Saving Paludis, the compilation includes several other stories that serve to prove author Clayton Graham’s skill in writing outside of his main influence. The compilation itself is not difficult to read as each story is approximately 15 minutes or less (kindle time). There were a few that stood out for me, including The Sixty Minute Warning, Old Time’s Sake and Trapped but all the stories are worth checking out. For those who are familiar with Clayton’s debut Milijun, in addition to the excerpt provided, you may also find Vanguard particularly interesting. To be completely honest, this compilation has something for everyone with stories ranging from sci-fi, action, romance horror you would be hard pressed to not find something to like about Silently in the Night. 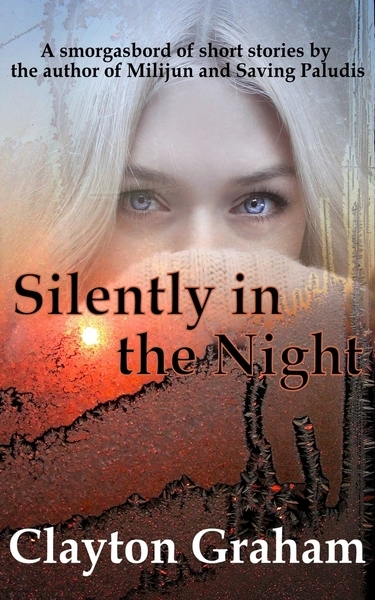 If you are unfamiliar with this author and would like a decent primer of his work or are a fan of many genres and are looking for some short reads, I would highly recommend adding Silently in the Night to your bookshelf or e-reader.